Aspect has been expanding the capabilities of its portfolio as well as its deployment options. They have made a bunch of investments and acquisitions and they now have an extremely comprehensive omnichannel contact center capability in the cloud and on-premise. The company has multichannel self-service, agent assist in the contact center, workforce management, backoffice optimization solutions and more. TMC has been covering them since the eighties and it is pretty amazing how many companies they have purchased during that time - Aspect was actually a company which was acquired and then the name was changed from Concerto. Some of my favorite acquisitions made by the company were PakNetX the first ACD on a CD company and Cell-IT, the first IP contact-center solution. Nowadays, the company is finding it increasingly important for customers to enable consumers to communicate with them in the channel of their choice. Whether SMS, voice, social, whatever it is they explained, "It is increasingly important that companies enable omnichannel communications." said Jim Freeze, SVP & CMO. Moreover, he said, cloud is becoming an important deployment alternative for their customers. In addition to Jim, I had a chance to speak with Spence Mallder, SVP & GM of Workforce Optimization and Tim Dreyer Director of Analyst Relations. The company has expanded its omnichannel capabilities, part of this has to do with the Voxeo acquisition. Omnichannel self-service and proactive outboud were becoming important to their customers so they acquired the leader in the space they told me. Explaining further they said, the capabilities are now available to prospects and customers. 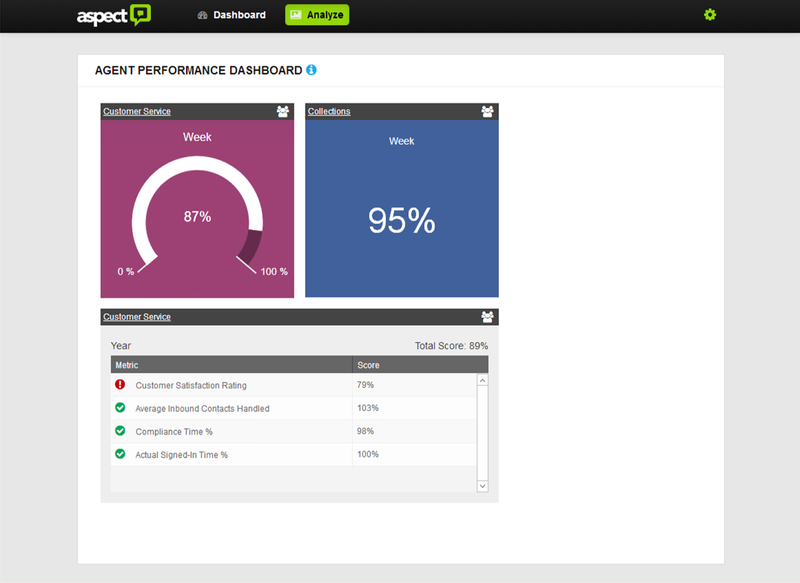 They also told me about the new Aspect Proactive Engagement Suite. Similar solutions can let customers know via SMS when something happens like when power will be restored after an outage. Aspect's solution however can now turn this notification into a dialogue. A customer could use it for example to reschedule a delivery. In other words, you get a notification that your dentist appointment is tomorrow at 2:00 pm and you can interact with the alert to change it to a later time. They have also been building out their data centers to support these cloud initiatives. Companies are all looking to lower costs while improving service they told me. Another announcement they recently made was their Workforce Optimization 8.0 Suite which provides icons, widgets and customizable dashboards as part of a new more intuitive graphical user interface designed to improve agent engagement. Mallder said, "Customers prefer not to talk to someone if they dont have to." and Freeze followed up "We are seeing a generational shift and while voice is growing, its growing more slowly than other channels." Spence explained that user and supervisor interfaces have been humanized - this allows you to minimize the number of clicks to get things done. Continuing, he said, this has been done cross-workstream in one seamless user interface. The new Beta program has had to have little to no training; Its web-based and one Beta went into production already implying it was so easy to use a customer went full speed ahead. They will have some news on a vertically focused expansion of their capabilities in the cloud in the next few weeks which we hope to break on TMCnet.